One of the most played and the most popular online blackjack game variants is the game of European Blackjack which is available as both a single hand or multi hand game at many casino sites. Be aware that this game is also used as the base game for several other blackjack game variants namely those on which a range of bonus side bet options are available. However, for the purposes of this game guide we shall just stick to presenting you the facts and figures relating to the single hand variant of European Blackjack! One of the main reasons this blackjack game is popular is that it follows the standard game play rules of the European Blackjack game variants found in land based casinos, and one thing worth noting is that this game is played with two full decks of cards in the shoe. 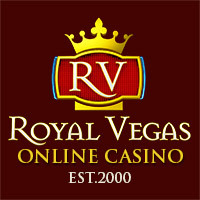 The cards will, when playing at a casino online, be fully shuffled before any new game is put into play and as this game is a no peek game that means the dealer initially deals out to his hand just one face up card in the initial deal, and will then play off his hand when you have made your playing and betting decision on your hand. As soon as the dealer is playing off his hand if he deals out cards to his hand that value it at 17 or over he will stand that hand and will hit any hand with a value lower than 17. As there are no side bet wagers on offer on the European Blackjack game, you simply are tasked with placing a stake on the base hand of anywhere from 1.00 to 200.00. If you are playing the multi hand version of this game you will be able to place a wager on up to five separate hands per game played off. The winning payouts that can be awarded to you are the standard one, and as such expect to receive a 3 to 2 winning payout if you are dealt out an unmatched blackjack hand, a payout of even money will be awarded on all other hands won by the player. 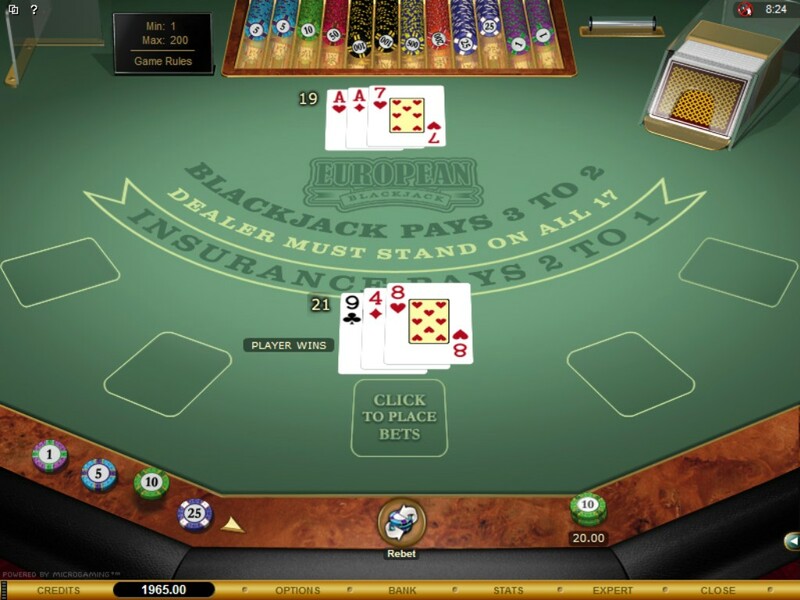 You can place the side bet wager whenever the dealer has been dealt out an initial card which could see him being dealt out another card which will give him a blackjack hand, and as such if you place that insurance wager which will cost you half of the initial staked amount, if the dealer does end the game holding a blackjack hand your winning payout will be 2 to 1 on your insurance side bet wager. By learning and putting into play perfect and optimal playing strategy when playing this game you can reduce the house edge on European Blackjack to 0.42%, but to do so every single hand you play must be played optimally. The rules of this game are easy to understand, for a start as soon as you have been dealt your initial card s you can of course choose to hit or stand that hand, however if it is valued as a hard 9, 10 or 11 hand then you will have the option of doubling down your hand. By doubling down do be aware that a stake equal to the initial wager you placed on your hand has to be placed and for that additional bet only one additional card will be dealt out to your hand. You are going to be able to split your hand from time to time but you can only split it once, and as such when playing he single hand version of this game you can only ever end up playing two separate hands after splitting. Only a pair of cards with the same value can be split such as any pair of 4’s, if you have a mixed pair of the same valued cards which could for example be a jack and a king then you cannot split them. One quite advantageous rule for the player is that is you have split a pair of aces the game rules will permit you to be dealt out more than one card to any split aces and not just one card as some other variants will allow you to do. Any ace and 10 valued card formed by splitting a hand is paid out at even money if the winning hand and not a 3 to 2 blackjack paying hand. The only way that you are going to be able to get the house edge down to the expected house edge attached to this game is by you playing every hand perfectly. That may seem like a daunting task however we have a strategy card available for this game which will show you exactly how to play each hand that you have been dealt out, so feel free to download it and refer to it if you do decide to play European Blackjack online. Surrender – Whilst there is no option or you to surrender your hand when playing the European Blackjack game you will find some variants namely the Atlantic City Blackjack game variant and the Big Five Blackjack game will offer you this playing move. Doubling Down – Always double down a pair of fives or a hard 10 or 11 valued hand when the dealer is showing a 2 to 9 valued card and also double down a hard 9 valued hand when the dealer has on show a 2 to 6 valued card. Hitting a Hand – If you initial two cards are worth 5 to 8 or is a soft 13 to soft 17 valued hands then always hit your hand. When to Stand – Make sure that if you have been dealt out either a soft 19 or a soft 20 valued hand then the best playing decision you can make when playing of those hands is to stand them, so never hit them instead. Insurance – Do not be tempted to take the insurance ager when it is offered to you as that side bet optional wagering opportunity does come with a very high house edge and as such is a bet you should never place when playing this game and it is offered to you. One aspect of playing European Blackjack online for real money is that each real money wager you place is going to earn you a certain number of comp points depending at which casino you choose to play at which, when you have earned enough of them will see you being able to redeem them for additional playing credits. Bonuses are of course always on offer at many online casino sites and one thing to note is that due to this Blackjack game variant coming with a fairly low house edge some casinos will either force you to play through the bonus an additional number of times when playing this game with a bonus and some sites may even not permit you to play it with bonus credits, so always check the rules which are displayed on a casinos website in regards to how to use bonus credits.